How did plants get to be the way they are? Why do they have pretty flowers? How different would things have been if the wrong kind of pollinators had got the upper hand? Why are Latin names so complicated, and why Latin anyway? Why is a weed-free lawn an ecological impossibility?This entertaining book gives the answers to these questions and many more. It shows how a little botanical knowledge can… bring not just better results but peace of mind, and that losing sleep over such traditional gardening bogeys as weeds, pests and pruning is not necessarily the best course. 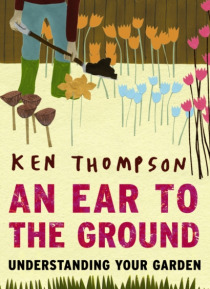 In this new edition Ken Thompson grabs the opportunity to explain why any old plant will do for companion planting - but also that it can do as much harm as good - and why planting by the moon is complete and utter nonsense.